Laser scar removal is a non-invasive, advanced approach to scar treatment that offers excellent results without the discomfort and downtime of surgery. It uses powerful fractional laser technology or Laser rejuvenation to reduce the look of scars without harming surrounding skin. In just a few fast, easy treatment sessions, scars are much less visible, leaving behind smoother, more attractive skin. Unlike surgery, laser scar treatment uses short pulses of micro-fine laser light to reach deeply into the skin’s sub-layers, treating the support structure. Then the body’s natural healing process sweeps away older, damaged tissue and rebuilds it with fresh, new collagen and elastin- the crucial building blocks of normal-looking skin. It’s a fast and simple procedure that’s easy to tolerate and requires little to no downtime. Laser scar treatment is FDA-cleared for surgical scars and acne scars on any area of the body, including the face. 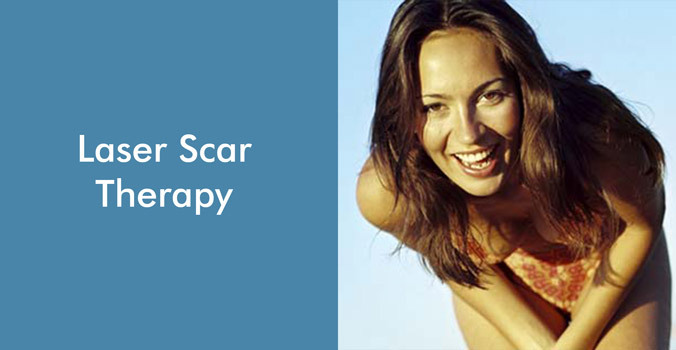 Laser scar removal can work on many skin types, including very light and very dark skin. Most people feel minimal discomfort during laser scar removal treatment. Your provider can discuss pain management options with you. Most people may need three to seven treatment sessions for optimum aesthetic results. Typical side effects include temporary redness and swelling at the treatment site, which should last only a few days. There is a low risk of prolonged itching, redness, and blistering, a risk of lightening of the skin or darkening of the skin, burns, and bruising, some of which may result in scarring. Dr. Krachman can provide individualized information on potential side effects with you.